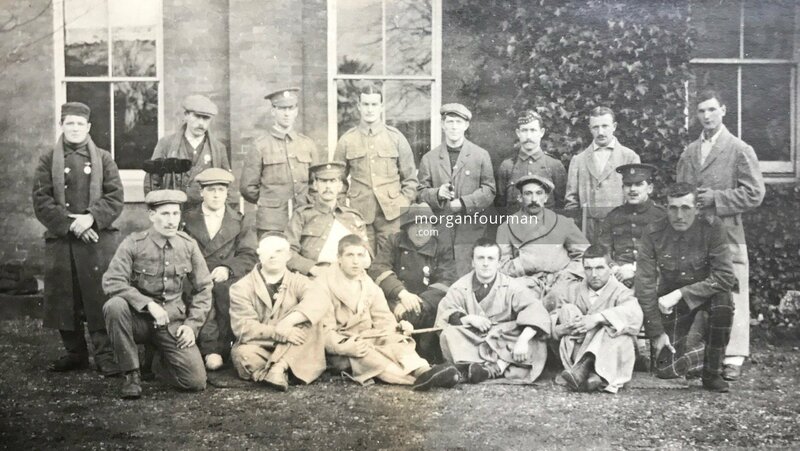 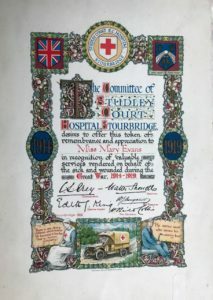 Studley Court Hospital in Stourbridge was opened in Nov 1914 as a direct response to the outbreak of war. The building is now owned by the council and forms part of Mary Stevens Park. 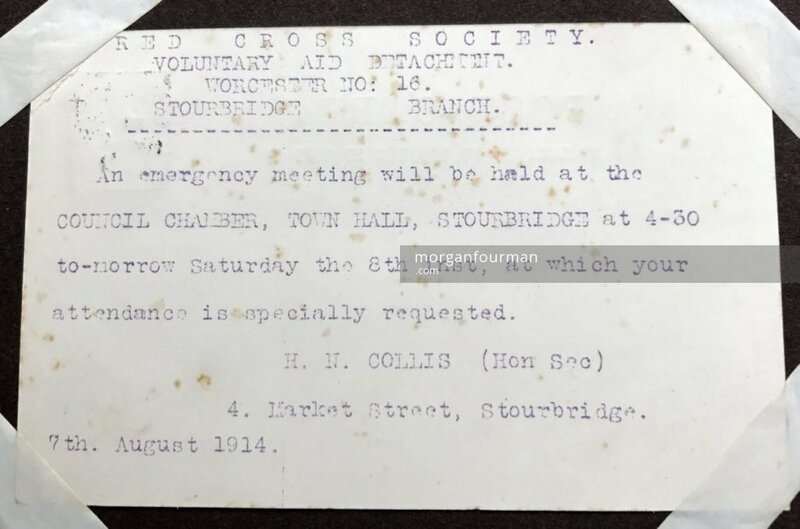 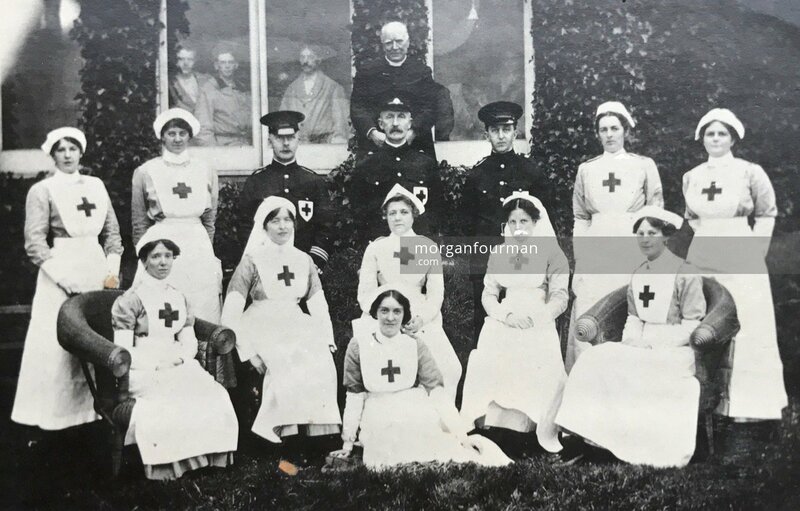 An Emergency Meeting of the Red Cross Society was convened at Stourbridge Town Hall on 8 Aug 1914 to discuss the matter and the raising of money. 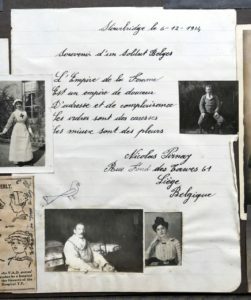 The invitation card to this meeting can be found in Molly Evans‘s scrapbook. 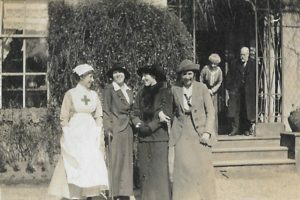 In Hagley, some like William Edmund Downing made financial contributions. 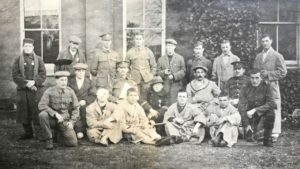 He became treasurer of the Hagley War Fund. 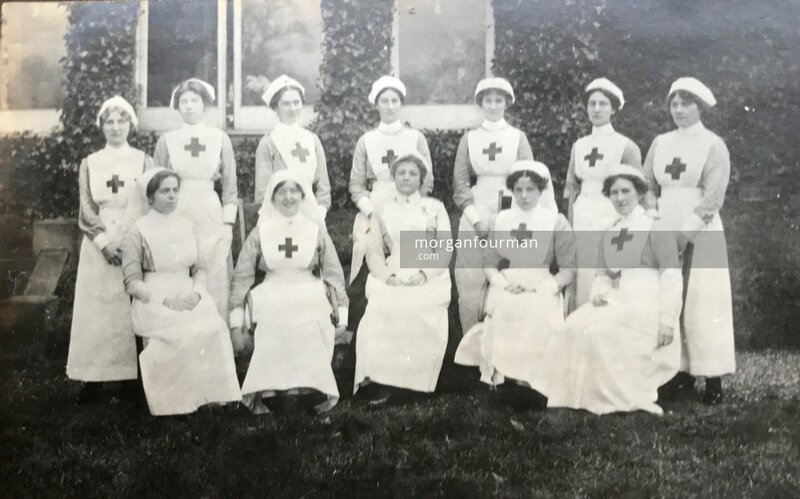 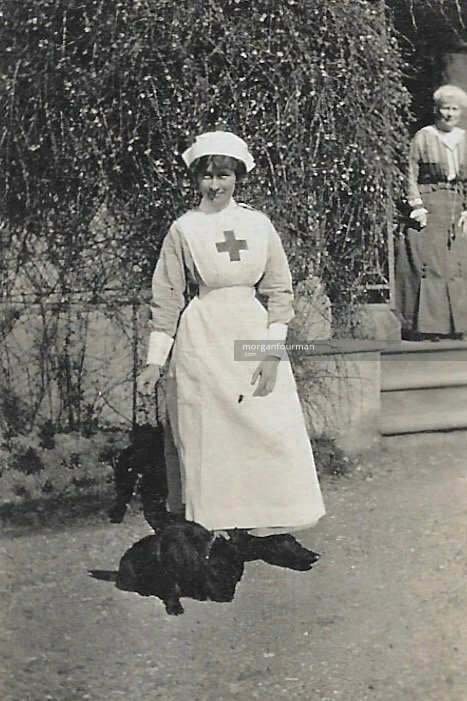 Molly Evans herself signed up to volunteer for the Red Cross and was soon enrolled for a period of training at the Guest Hospital, Dudley. 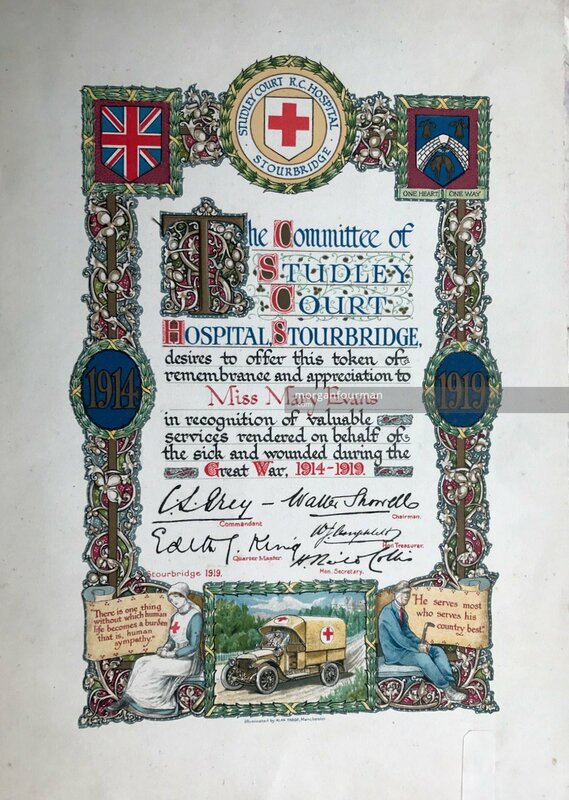 Her first post as VAD nurse was at Studley Court. 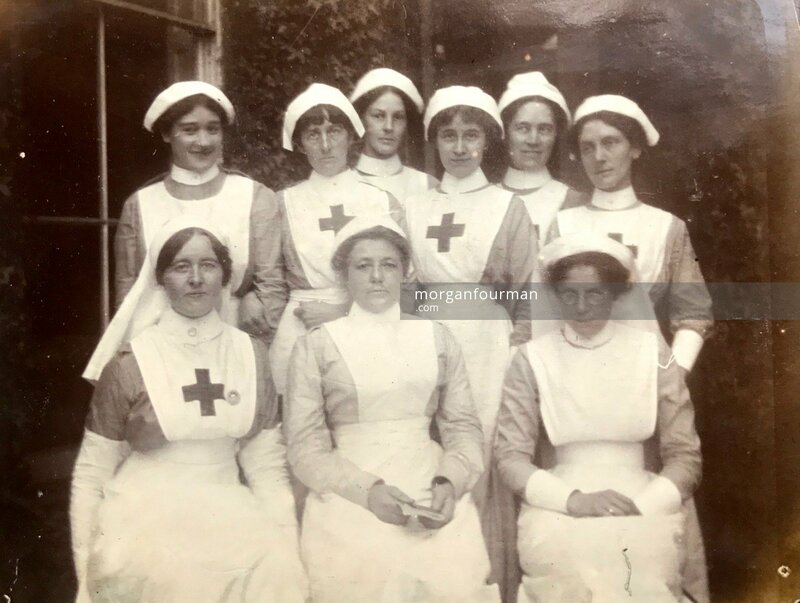 When she started on 10 Nov 1914 the hospital was still under preparation for opening. 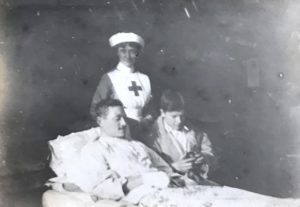 The final Red Cross meeting took place on 12 Nov and on 14 Nov a trickle of wounded soldiers, mainly Belgians started to arrive. 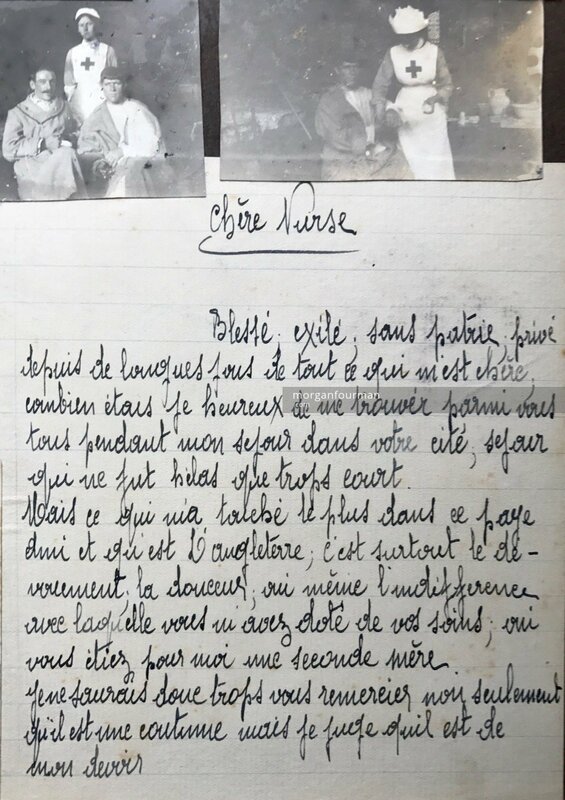 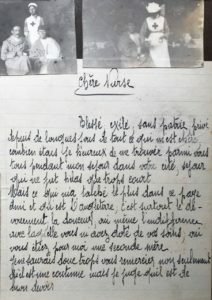 The scrapbook recounts photos and letters with these early patients. A number of group photos of nurses, porters and patients show outside views of the building – although there are no internal views. 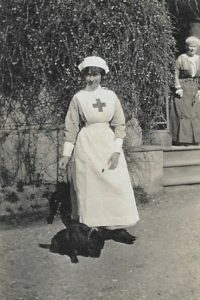 Molly Evans left the hospital in Jul 1915 to go and work with the VAD at the No 2 General Hospital, Le Havre in France. 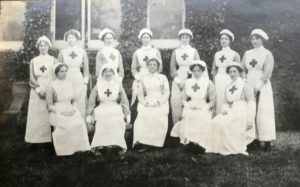 Both Molly’s sister Fiffy and her neighbours Mary Downing and Daisy Hatton also served at the hospital.